Discussion in 'Lets Talk about gambling and more...' started by Kotsy, Nov 26, 2013. 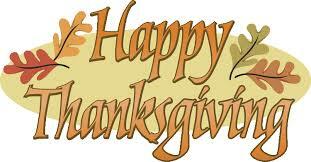 The Holiday week is upon the USA and we are sending out wishes to all of our members who celebrate Thanksgiving. It's a huge holiday in the USA where family and friends get together and celebrate Thanksgiving. The meaning of Thanksgiving came about where the Pilgrims and Indians shared all of their food offerings and became "one". Happy Thanksgiving to all our U.S. friends! Thank you for all your well wishes! Happy Thanksgiving to all my fellow Americans! Happy Thanksgiving to all! I am thankful for all my wonderful family and friends. Ty and Happy Thanksgiving too!!! Have a blessed day everyone. Happy Thanksgiving dear Friends and Visitors! !